Review Summary: On the whole ALBELA has just one factor going in its favour ? the fresh combination of Govinda and Aishwarya Rai ? On the whole ALBELA has just one factor going in its favour ? the fresh combination of Govinda and Aishwarya Rai ? 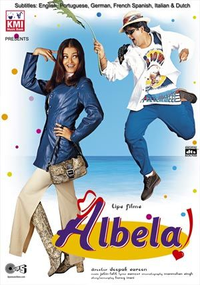 Albela is a film about two love stories separated by the interval. A little bit of sweetness in a movie, as in life, can be a pleasant thing.